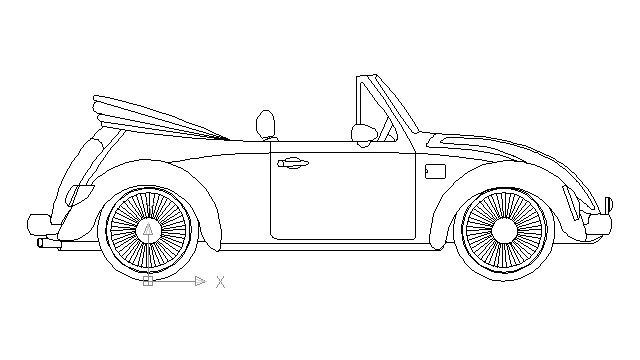 Description for this Autocad block : The automobile Volkswagen Beetle Cabriolet began production in 1949. It was in 1948 that Wilhelm Karmann first bought a VW Beetle sedan and converted it into a four-seated convertible.After successfully presenting it at VW in Wolfsburg, production started in 1949. After a number of stylistic and technical alterations made to the Karmann cabriolets,(corresponding to the many changes VW made to the Beetle throughout its history). Tags for this category : cad, autocad, block, drawing, blocks, drawings, files, dwg, dxf, cars, automobiles, road, vehicles, motor, machine, wheels, auto cars, buses, motorcar, auto, sedan, vehicle, fast cars, sport cars, means of transports, vehicular, motorcycles, motorbikes, vans, trucks, carriages, motor vehicle, airplane, jet, helicopter, bike, cycle, mountain bike, automobile, ships, boats . 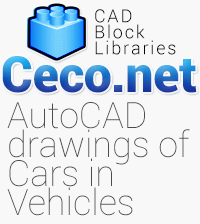 Autocad blocks of cars, automobiles, blocks of auto cars, vehicles, motor machines, wheels, auto, wheels, motorcar, sedan fast cars, sports cars, SUV, pick-ups, luxury cars, modern cars, old cars, coupes, conceptual cars, classic cars. Files in dwg and dxf format, free download.